Insurance is one of those things that many think of as an ‘extra expense or purchase.’ It doesn’t come with a bunch of fun stuff, you don’t get something cool with your insurance purchase and its one of those things you buy and hope you never have to use. Then the question comes to mind as to whether or not you even really need it. So why not take a look at some of the points to take into account in considering cell phone insurance and then hopefully you will be able to see what the best choice is for you. For those who have and expensive phone, if you have insurance, should your phone get stolen, damaged or broken, you won’t have to spend all that money again to replace it. For those with a budget friendly, simple phone, over time you may spend more money to insure it than what you would pay to purchase a replacement. When the time comes that you need a replacement phone quickly, filing your insurance claim, and getting a new one through your policy, is usually easy and quick. Most insurance policies have pretty strict rules as to what’s covered, and what isn’t. So shop around to check out what each insurance company covers to find what you need. If you need to file a cell phone insurance claim, there will usually be a deductable involved. Take a look into the company’s policies to see what they offer for your phone and the plan that best suits your needs. Should take out a cell phone insurance plan, consider some of the different options available. One place to start is with your cell phone carrier. See if they offer an in house insurance program. This may add an additional fee to your monthly payments but may be easier as you’ll only have one bill to worry about paying. There are also third party companies that deal in cell phone insurance, and they may be able to give you a better deal and/or price. 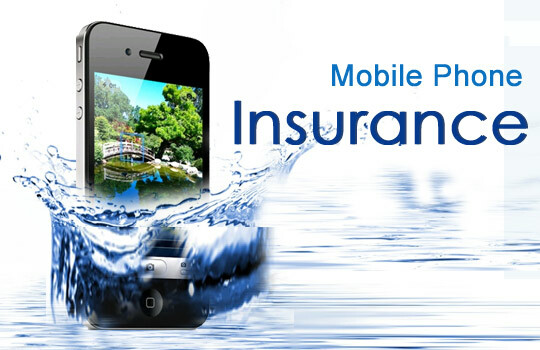 Another idea is to see if your home insurance lets you list your cell phone on your policy. If they do, it could be cheaper and simpler to use this to cover your cell phone insurance. For those who really count on their cell phones or have expensive, pricy phones, cell phone insurance can be very helpful for them. For others, it may be simpler to take a chance, keep a back up of your data on your computer, and avoid the added cost of insurance. nice article Plaban. I don’t see cellphone insurance worthy. Nowadays, when every day, new models of cellphone are being launched, we in fact don’t want to keep cellphone for more than a year. In such case, insurance really loose it value. The cheap phone insurance is useful for the risk of accidental damage of their handsets. Your costly cell phone can get damaged due to accidental falling into muddy water or from very high place. The theft and damage incidents cannot be denied when people are outside home carrying their handsets.